Christmas is 4 days way! And you know what that means.... It is time for Almond Giveaway #3! 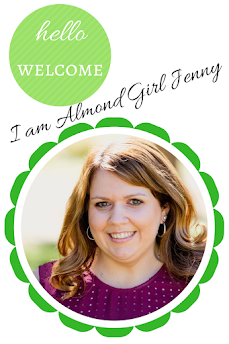 If you have been following along on my holiday giveaway journey you know we have already given away TWO great almond packages. As a thank you to all my loyal readers and followers I wanted to give a little joy to your holiday season. Sadly, Christmas is fast approaching so this will be my final almond giveaway for this holiday season. All you need to do to win is to share and comment onthis post on Facebook. It is that easy! So what exactly is in this last and final almond giveaways you ask? Well I wanted to do a combination of the past giveaways and make one bigger and grander giveaway! 'Almond Inspirations' Cookbook: featuring great recipes for weekend brunch, sensational snacks, your casual table, cocktail party, decadent dinners, sweet treats and drinks. To continue my appreciation to my loyal readers, followers and subscribers during this holiday season I will be giving away Almond Giveaway #2. We already gave away one awesome giveaway and there will be one more to come next week. All you need to do to win is to like and comment on this post on Facebook. It is that easy! So is this giveaway the same this time around too? Nope!! Each giveaway is slightly different but all are almond themed of course! What exactly is in this almond giveaway you ask? 3 California Almond tins: holding the perfectly proportional serving size of 23 almonds per tin. Great for snacks! Don't forget to like and COMMENT via Facebook this post to be entered to win! Winner will be announced on Friday, December 18th! As a thank you to all my loyal readers and followers I wanted to give a little joy to your holiday season. As my Christmas gift to you, I will be having 3 Almond Giveaways! Yes, you read that right, I will be giving away 3 holiday almond packages! All you need to do to win is to share and likethis post on Facebook. It is that easy! So what exactly is in my almond giveaways you ask? Well, each one is different and over and the course of the next couple weeks I will post each giveaway for your chance to win. 3 California Almond tins: holding the perfectly proportional serving size of 23 almonds per tin. Don't forget to like and share via Facebook this post to be entered to win!Winner will be announced on Monday, December 14th. As I pack to get ready for a week of conferences and travel, I started thinking of all the new information I was going to be learning this upcoming week. Along my way, I always tend to meet a random person in the elevator, at the coffee shop or hotel lobby wanting to know what all these farmers are doing at the convention center. People always seem to be interested when I tell them we are here to learn. With any job or task a person sets out to accomplish, you tend to look for the most efficient way to do it. The same goes for farmers. We are always looking for the best and most efficient use of our time, resources and other inputs to get the greatest output. But how do farmers know the latest and greatest things to help them with their efficiency? We continue to educate ourselves. Farmers aren't always looked at as the ones with the newest ipad or the coolest tablet. You generally won't see farmers bragging about how they reached a new high score on their trendy cell phone game. Farmers aren't usually the ones you think of to have the newest technology. But farmers and technology do go hand in hand. Some may think that farmers aren't always up on the newest gadgets or tech trends, but now a days they have to be. Farmers are turning to technology to help them be more sustainable and efficient in their usages. We are in full swing of almond harvest on the farm. Shaking, sweeping, picking up and hauling the crop away to the huller. There is a lot going on out on the farm lately. But one thing is slowing all of us almond farmers down. It's this dang drought again, it seems to keep popping up in new ways. Our orchard rows have too much debris, the wood chips and dirt are slowing things down for the pick up machines and even at the huller. 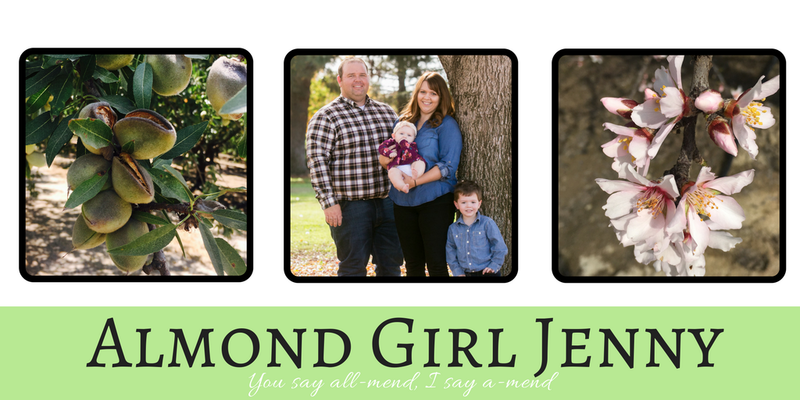 I've been quiet in the social media and blogging world over the last couple months. I do have a good excuse though. Our family has taken some much needed vacations! We call it the calm before the storm. Our chance to unwind, relax and take in the views. All before the storm of harvest is about to begin this week! Every one needs a little time to calm yourself and regroup. This is just what our little family has been doing, and man did we enjoy ourselves! Earlier in June, we were lucky enough to go to Kauai with my parents, sister and her family. It was great that we were blessed to have the chance to go. Living 5 hours from my family, we don't see them too often. So, I was looking very forward to spending a week with them all. I was a little nervous to fly with our then 6 month old baby. But he was a trooper and did a great job! I was so proud of him and the 6 hour flight.